If you or a loved one suffers or passed away from injuries caused by a medical malpractice in Connecticut the experienced medical malpractice lawyers at Jazlowiecki & Jazlowiecki Law will aggressively pursue your case to get you the highest possible settlement. According to the National Institute of Health there are more than 225,000 medical malpractice deaths in the U. S. each year . Medical Malpractice victims deserve to be compensated for their injuries by those who are responsible. If you have a loved one who has been the victim of a Medical Malpractice, contact us. 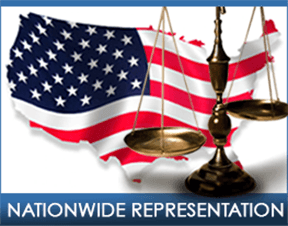 We are available for medical malpractice investigations and litigation throughout Connecticut and the United States. Medical Malpractice Paralysis: Jazlowiecki & Jazlowiecki obtained 2.5 million dollar settlement for a Hartford woman in a medical malpractice action against a local hospital after a standard procedure was negligently performed and left the victim paralyzed. Professional & Medical Malpractice: Jazlowiecki & Jazlowiecki recently won a $775,000.00 Arbitration award for the Estate of a Connecticut man who was a victim of both Medical and Professional Malpractice. Propecia MDL Lawsuit: The first Propecia Lawsuit in the United States was filed by Zak Jazlowiecki of Jazlowiecki & Jazlowiecki against the pharmaceutical company, Merck. Jazlowiecki & Jazlowiecki is now working with Sherman & Silverstein’s Alan Milstein in the Propecia Mass Tort Claim representing hundreds of victims suffering the permanent adverse side effects of the popular hair loss drug. These are just a small sample of the excellent verdicts and settlements obtained by the lawyers at Jazlowiecki & Jazlowiecki. Each year, there are more than 225,000 medical malpractice deaths in the U. S. (National Institute of Health). The New. York Times reported that 12,000 people die each year from unnecessary surgeries. 1.5 million People will suffer injury or death from prescription errors each year (The Institute of Medicine). 67% of all doctors involved in 10 or more malpractice cases are never disciplined. 50% doctors in the U. S. fail to report incompetent medical colleagues. 70% of patients who experience medical errors are not alerted by their doctor. 49% percent of hospitals have never filed 1 disciplinary action against 1 of their doctors. Medical Malpractice lawsuit statistics show that doctors make about 4 prescription mistakes for every 1,000 prescriptions written.